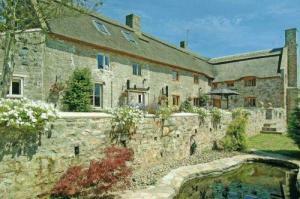 Choose from 1851 hotels and guest houses in England. Shown below a just a selection of the hotels available. To search within an area please use the menu on the right. This small, chic hotel with the award-winning Ziba Restaurant is walking distance from Echo Arena, Albert Docks and Liverpool One shopping. The quirky rooms have antiques and local artwork, Freeview TV and either a walk-in shower or a claw-foot roll-top bath. There is free Wi-Fi access in the bar area. The Racquet Club has a gym with sauna, steam room, plunge pool and Jacuzzi area. There are 2 squash courts on the second floor which are free for guests to use. The St.Ives Motel is a family-run hotel on the outskirts of St.Ives, in Cambridgeshire. It offers free Wi-Fi and free parking. The St. Ives Motel has easy access to the A14, making it a great base for visiting the Cambridge area. The centre of this historic market town is only 10 minutes' walk away. Occupying a privileged position, on the edge of Sherwood Forest, this Nottinghamshire hotel is a haven of unrivalled tranquillity and natural beauty; an ideal base for exploring the county. 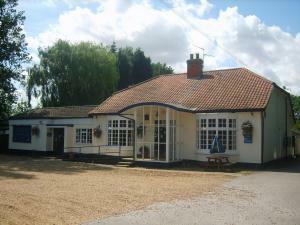 Conveniently placed for the M1 and A1, the hotel is also close to Worksop, Retford, Blyth and Edwinstowe. 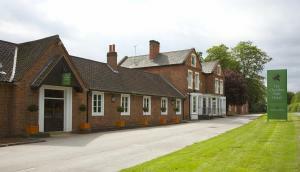 For families, the hotel is in the middle of all the local attractions such as Clumber Park, Sherwood Forest and many more just a short drive away. In addition to this, the hotel has the Adrenalin Jungle site, which includes an assault course, archery and blindfold 4x4 challenge; perfect for team-building exercises. The Olive Tree is a cosy bar and hotel with character, independently owned, and situated in a quiet but central city centre location. Offering a refreshing change to the many large chain hotels, The Olive Tree is 2 minutes' walk from Nottingham's renowned shopping and nightlife; 5 minutes' walk from the Royal Centre and Rock City; as well as being just 15 minutes' walk from the Ice Arena. For a comfortable stay located in peaceful surroundings yet 4 miles from Oxford & Abingdon, we are the place for you. Foxcombe Lodge Oxford, was officially opened in July 1985 by his Grace the Duke of Marlborough. 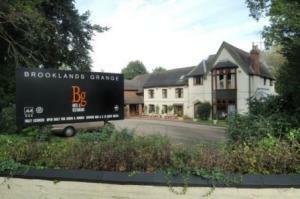 Set with beautiful south facing gardens in the tranquil setting of Boars Hill located 4 miles from Oxford and Abingdon. The hotel is an ideal base for visiting Oxford's historic colleges & exploring the picturesque villages of the Cotswolds and Blenheim Palace. We are a traditional family run hotel that is very individual, if you're after white walls and something modern with time, then we are not the place for you. All bedrooms were recently re-furbished and are en-suite, equipped with a terminal PC with free 24 internet access, colour televisions, direct dial telephones, hairdryers and tea and coffee making facilities. The 'Club Bar' and 'F1 Bar' boasts a selection of over 300 drinks to choose from and if you like your whiskey then you're coming to the right place. Set in the magnificent town of Bakewell in the heart of the Peak District National Park this 19th century hotel offers elegance and distinct history amid unrivalled surroundings. 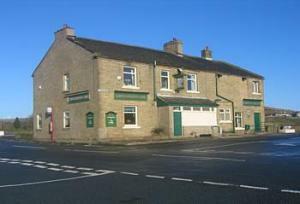 The Rutland Arms Hotel lies equal distance from both Matlock and Buxton, on the edge of the Chatsworth estate. The first ever Bakewell Pudding was made by a cook in the kitchens at the Rutland Arms. The timeless elegance of the hotel is marked by the 54 antique clocks which grace the public areas and portrayed in the 35 individually styled bedrooms, one of which it is believed that Jane Austin stayed in whist working on her novel Pride and Prejudice. Whether you require a moment's relaxation; sustenance from award-winning menus; or a function or meeting room; the staff at the Rutland Arms are on-hand to ensure your visit to the hotel is a memorable one. Overlooking the bowling green in the fashionable Cheshire village of Hale, this hotel sits close to a railway station providing easy access to Altrincham, Stockport and central Manchester. A 5-minute drive from all local motorway networks, the Britannia Ashley Hotel is also just 10 minutes by car from Manchester International Airport, with special long-term parking deals on offer. Altrincham station is also within easy reach, providing the metro-link tram service to Manchester United Football Club and Old Trafford cricket ground. Tatton Park, Dunham Massey and Quarry Bank Mill National Trust properties are within 10 minutes by road. 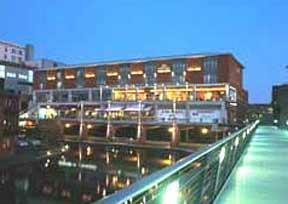 Hale itself retains a good variety of individual shops, fashionable bars and restaurants. Wi-Fi internet access and meeting facilities are complemented by a bright modern bar. Also on-site is a wine bar style restaurant, with a wide range of dishes and daily specials served amid polished wooden floors and interesting artwork. In beautiful tranquil natural surroundings, this charming 13th century stone-built hotel offers comfortable, attractive accommodation with modern facilities seamlessly integrated alongside beautiful original features. The Tudor Farmhouse Hotel is situated in the historic village of Clearwell, just 250 metres from Clearwell Castle, on the fringe of the Forest of Dean and the Wye Valley. Deep in the heart of the natural beauty of the countryside, the hotel is surrounded by immaculately kept landscaped gardens and 14 acres of fields. The building's stunning original features include massive oak beams, original panelling, an oak spiral staircase and a large, rough stone inglenook fireplace in the attractive lounge. The 20 en suite rooms have been refurbished in a traditional style without compromising the structure's beautiful historic charm. Each room offers sensitively incorporated contemporary comforts and facilities, including tea/coffee making facilities, hairdryers, flat-screen TVs with satellite channels and wireless internet access. 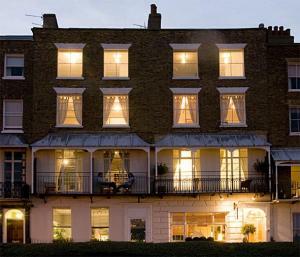 Comprised of adjoining Georgian town houses dating back to 1799, this charming, individual hotel in Ramsgate's historic garden crescent has amazing harbour and sea views. A 10 minute taxi ride from Kent International Airport, the hotel offers welcoming, real open fires in the lounge and reception area, as well as an honesty bar where you can help yourself to drinks. Start the day with a cooked-to-order English breakfast. The hotel is ideally located within easy reach of the train station, the sea front, the yacht marina, Ramsgate ferry terminal, Dover ferry terminals and many other sites. All rooms have TV/Video or TV/DVD/Freeview sets with a complimentary video/DVD library in reception where you can help yourself to films on a rainy afternoon. Close to the banks of the River Thames and the shops of the fashionable Kings Road, the hotel offers great value, with bright, spacious, air-conditioned rooms, all with satellite TV and power showers. The hotel is within walking distance of Chelsea and Fulham football grounds as well as being close to some of London's most popular visitor attractions including Kensington Palace, the Natural History Museum, Victoria and Albert Museum and the Royal Concert Hall. And after a day spent exploring, the hotel's restaurant, Innfusion, that serves both a la carte and table d' hote menus, offers an ideal place to unwind. The hotel also features Inntro bar, where you can enjoy a wide range of drinks and bar snacks. Il Barista serves Italian coffee, fresh pastries and sumptuous breakfast items in an intimate atmosphere. This superior budget Chelsea hotel is the perfect location from which to explore all London has to offer. 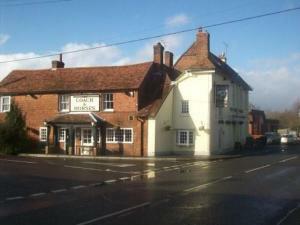 This village pub, The Coach & Horses, dates back to 1762. Located in the village of Sutton Scotney, it has easy access to the M3 and the South. The letting rooms are created from the old thatched fire station and named after famous makes of fire engines: Dennis, Bedford and Commer. The rooms reflect the pub's traditional character, and a continental breakfast is included in the rate. With a superb location, right in the city centre and just a few minutes' walk from Portsmouth and Southsea Railway Station, the hotel offers en suite rooms at great-value rates. The Ibis Hotel Portsmouth is close to all that the city has to offer. The guildhall is just metres away and the city-centre shops of Commercial Road are just a short walk away. The seafront and Southsea's Clarence Pier are just a mile (1.6 km) away. The D-Day Museum and the Blue Reef Aquarium are within easy reach, as are the shops, bars and restaurants of Gunwharf Quays. There are 144 en suite rooms, all with tea/coffee making facilities and wired broadband internet access available at an additional cost. There is a restaurant, a spacious lobby area and a bar offering snacks 24 hours a day. Wi-Fi is available at an additional cost in the hotel's public areas. Secure, private parking is available at an additional cost. 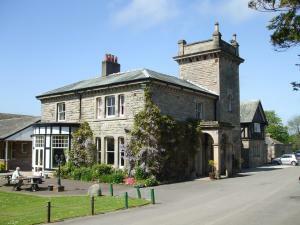 We are a privately owned hotel with individual style and charm. This hotel is totally non smoking. Top rated hotel with AA Rosette Restaurant. Originally a 16th century Jacobean farmhouse, Brooklands-Grange has been sympathetically restored and refurbished, to combine original character with modern facilities. All rooms individually furnished to a high standard. Set in a semi-rural location with an easy reach to all Midland motorway networks and rail links, Brooklands-Grange is ideally situated for 'business and pleasure'. Inspired cooking and fine flavours on our a la carte and bar menus. We offer both traditional and contemporary dishes, using only the finest local produce. The relaxed atmosphere in our **AA rosette** award winning restaurant adds to the enjoyment of any occasion. So if you are looking for somewhere special to hold a corporate dinner, host a small intimate wedding reception, or simply a meal for family and friends, Brooklands-Grange is the ideal choice. The hours fly by where time stood still......a genuine seaside 'hidden gem' on the Suffolk Heritage coast. Golf, Tennis, Cycle Hire,Walking available all year round. Located adjacent to the Meare,golf course and gardens, and only a short walk from the beach, this hotel offers 30 large, en-suite bedrooms, restaurant and bars. The village was originally built on the early 1900's as a holiday destination for coloniels and their families home on leave from the colonies. The hotel and village offers a traditional quirkiness which in recent years has been renovated and upgraded. Our own 18 hole golf course is one of the finest in East Anglia and is often compared to Woodhall Spa, a test for the experienced golfer.Golf at Thorpeness should be requested when making a reservation for accommodation. Subject to availability golf may also be played at Aldeburghl golf course. A valid handicap certificate is required at both courses, and terms and conditions apply. For lovers of out door pursuits Thorpeness is only 9 miles from one of the best shooting schools in the Uk. Highlodge at Hinton offers ideal facilites for the novice or experienced shooter.We do advise booking early particularly at the weekend. Only 4 miles from Minsmere RSPB centre one of the hot spots for birdwatching on the heritage coast. If the arts are your passion both Aldeburgh and Southwold offer galleries and craft shops. Snape Maltings is only a short drive away. Famous for the Britten Festival, concerts take place throughout the year and the complex has restaurants and bars, craft shops and galleries well worth visiting. The hotel offers excellent meeting and conference facilities, coupled with a range of activites for team building and away days. Self catering available for couples and families. Worlington Hall is an elegant 16th century former Manor House set in five acres of gardens with protected trees and fishing rights on the River Lark. The original house was built in 1570. The Worlington Hall stands amidst beautiful countryside in the heart of a picturesque village from which it takes its name. 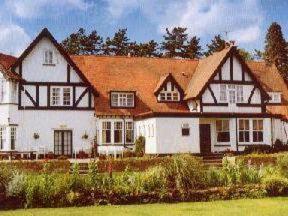 Located near to Mildenhall we offer the full facilities of a Country Hotel with a Bar Menu and ? la carte restaurant, function suite, lounge bar and charming accommodation. The bar and restaurant are open to non-residents. Our comfortable Lounge Bar offers the perfect setting to relax with friends before dinner. The sixteenth century carved wood panelling and blazing log fire will set the mood for a memorable meal in the charming surroundings of the restaurant. The Ramada Hotel Birmingham is in the heart of the centre, within the Mailbox Complex, next to bars, restaurants and shops. The hotel offers discounted tickets for the Sea Life Centre. The Ramada Hotel has selected rooms that overlook Birmingham's famous and recently renovated canal system, which offers a peaceful setting and relaxing walks. The location is also convenient for theatres and international exhibition centres. Rooms are contemporary and stylish, with a bright decor, modern amenities and windows that invite natural light. The hotel has a bar and full service restaurant. The Mailbox car park (available at an additional cost) is fully secured and allows access to all levels by lift. With a beautiful, peaceful location, only minutes from Bristol International Airport, this 17th-century farmhouse combines original character and traditional charm with modern luxury. Looking out over open countryside, sheltered by the Mendip Hills, the Meadow Cottage Guest House is set in an acre of beautiful south-facing gardens. Lying just 1.5 miles (2.4 km) south of the airport, outside of the flying zone, the hotel is completely free of airport or road noise. Holiday parking and airport transfers are available by prior arrangement. Fully refurbished in 2006, the guest house combines contemporary comforts with beautiful period features, such as original wood-beamed ceilings. The quiet, private and romantic rooms are traditionally furnished and have high-quality Egyptian cotton bed linen, soft, fluffy towels, luxury toiletries and TVs with Freeview digital channels. The guest house offers excellent home-cooked food in the stunning dining room. Children and pets are welcome. With a superb countryside location and hearty, homemade food, Crossroads Inn aims to offer a warm and comfortable stay in its newly decorated en suite rooms. Halifax, Hebden Bridge, Keighley and Burnley are all nearby. The Calderdale Way footpath passes by the inn. Reservoirs and long distance views are visible from all directions. Food is freshly made every day for lunch and dinner, and is served around the coal fire. The inn proudly serves Real Ale from the Timothy Taylor brewery. Rooms are on the ground floor, and have TVs, tea/coffee and power showers. With a beautiful, peaceful location in the quiet, traditional village of Hanmer, this charming 4-star inn offers attractive en suite accommodation and is great for a restful, relaxing break. Situated on the borders of Shropshire, Cheshire and North Wales, the inn has a delightful location in the picturesque village of Hanmer, home to the famous Church of St Chads. Surrounded by a lake, the Hanmer Arms Hotel has 12 en suite bedrooms and one large suite. The inn has been awarded a 4-star rating by the AA and offers great hospitality, a friendly welcome and good quality, fresh, modern food, made using locally sourced produce. Open throughout the day, the inn is traditional in its d?cor, with roaring fires and cheerful surroundings. The peaceful, idyllic location and authentic, traditional homely style also makes the Hanmer Arms Hotel a great venue for conferences, weddings and functions. Centrally located in the main shopping and entertainment area, this hotel and its landscaped gardens combine elements of modern comfort and stylish character, for a beautiful reminder of Victorian heritage. With a wealth of Victorian features, a classic fa?ade and a warm welcome, the Prince of Wales Hotel is the ideal place in which to enjoy a memorable stay in the centre of Southport. 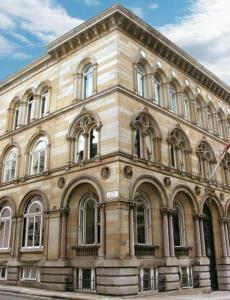 Situated on the tree-lined Lord Street, the hotel is surrounded by a wide range of attractions. The hotel is also a mere 10-minute walk to the railway station, as well as within easy distance of the beach. Previously used as the British Open Championship Headquarters, the hotel boasts several meeting rooms and a magnificent ballroom. An on-site bar is complemented by the Colonial Restaurant, known for providing traditional British cuisine. Here you'll find the wine selection is a well-chosen mixture of old and new classics. Set in acres of stunning parkland and orchards, Congham Hall is a beautiful Georgian manor house with an excellent restaurant. King's Lynn city centre is a 15-minute drive away. Each individually decorated room has classical decor, comfortable beds and picturesque views. An inclusive full English breakfast is provided. Dine in the superb Orangery Restaurant and sample the creative menu, using fresh produce from the estate garden. Take afternoon tea in the lounge next to the cosy log fire. 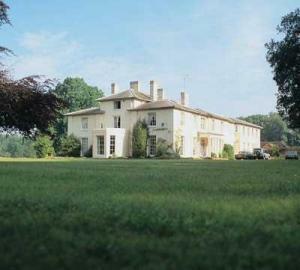 Congham Hall boasts a croquet lawn and tennis courts. Guests may also unwind with a range of beauty and massage treatments. With fantastic views of the Lorton Valley and the surrounding countryside, this country-house hotel on the edge of Cockermouth has excellent food and great accommodation. 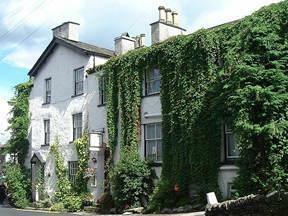 The hotel is well-located for visiting the north of the Lake District. The popular market town of Keswick is a short drive to the east, and you can drive west to the beautiful Solway Coast. Village Birmingham Walsall is packed full of facilities and just a short drive from Birmingham city centre and 1 minute from junction 10 of the M6. The hotel is home to a Starbucks, a full-size health and fitness club and The Hub meeting and conference centre. 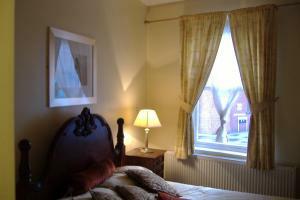 There are also comfortable bedrooms, and a fantastic restaurant and pub. There is free Wi-Fi and free parking at Village Hotel Walsall. Guests have free access to the state-of-the-art health club has a 25-metre pool, first-class gym equipment and an aerobics studio. 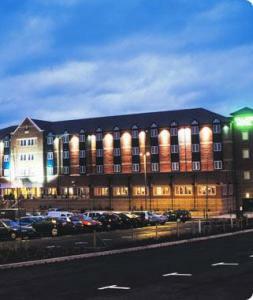 Village Walsall is ideal for quick access to the NEC and Birmingham International Airport. Nearby attractions include the historical Black Country Museum, Cadbury World and the Bullring Shopping Centre. With parts dating back to the 13th century, this 16th century inn is now a small country pub offering free Wi-Fi, 2 bars, a separate restaurant and comfortable en suite accommodation. In the heart of the small, charming village of Gayton, the Crown Inn offers 4 comfortable and homely rooms, furnished in a traditional cottage style. Each room has an en suite shower or bathroom. Every room has tea/coffee making facilities and there is a cosy lounge with Sky TV Rich in original character and traditional charm, parts of the building are said to date back to between 1216 and 1262, when the building was constructed to house the stonemason and the workers who built the church opposite. There are low original wooden beams in a few places. The Crown Inn is dog friendly and well-behaved dogs are welcome in the rooms and throughout the pub, apart from in the restaurant. 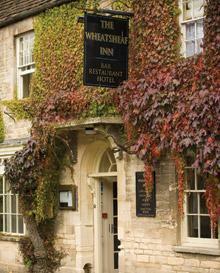 The Wheatsheaf Inn is a lovely 17th-century Cotswold stone coaching inn at the centre of the Cotswolds, in the historic market town of Northleach. The hotel has easy access to Cheltenham (10 miles/16 km), Oxford (20 miles/32 km) and Cirencester (8 miles/13 km) and is located in a designated Area of Outstanding Natural Beauty. Enjoy great food cooked by a chef who trained at The Clarence Hotel in Dublin and the French Laundry in California. Sit beside open log fires in winter, and in the lovely garden in summer. On Liverpool's superb waterfront, the stylish Radisson SAS has fantastic views over the River Mersey, as well as its own health and fitness club. In the heart of Liverpool's business district, the Radisson SAS Liverpool has its own style, with artistic flair. 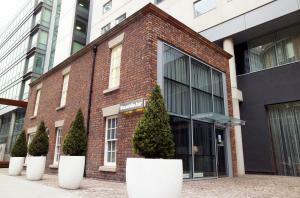 Liverpool's premier 4-star deluxe hotel has Filini, an excellent Italian restaurant with 1 AA Rosette. The White Bar offers a relaxed setting and creative cocktails. The Radisson SAS Liverpool is also home to Ark Health & Fitness - a haven in which to relax away from the buzzing city. With stunning sea views, this is the only 3-star hotel in Torquay situated directly on the waters edge, with direct access to the beach from the spacious lawns. The Livermead Cliff Hotel has stunning sea views from many bedrooms and all of the public areas. Just in front of the hotel is a landscaped garden and terrace and the sea is just beyond. The sea-view rooms truly make the most of the hotels superb location and some have access to a shared balcony. A set of private-access steps lead down to the secluded Livermead Sands. The town centre and the marina are just a pleasant, level walk along the seafront from the hotel. Located on Blackpool's North Shore with splendid views over the Irish Sea, this fully refurbished hotel offers style and atmosphere as well as good food and attentive service. 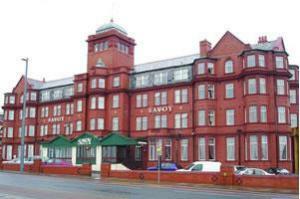 The Savoy Hotel has 145 bedrooms, many with sea views and spa baths. 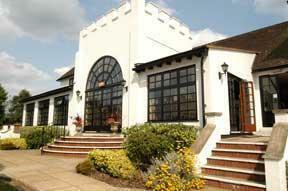 There is also an award-winning restaurant and superb facilities for conferences, weddings and social events. The hotel's reputation for staff friendliness and attention to detail ensures that both leisure and business guests return on a regular basis. Just a short walk from the beach, the Savoy is away from the hustle and bustle, but only a short tram ride from all the main attractions. There is nightly entertainment with a resident organist and vocalist.